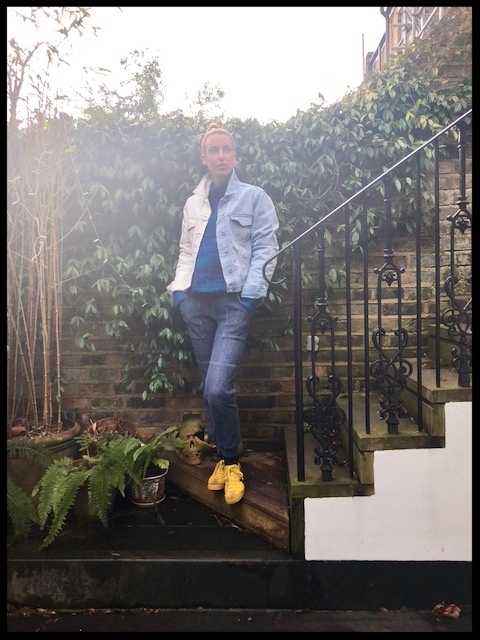 Denim jacket - East London Style (Home-made), Joggers - MM6, Trainers - Onitsuka. 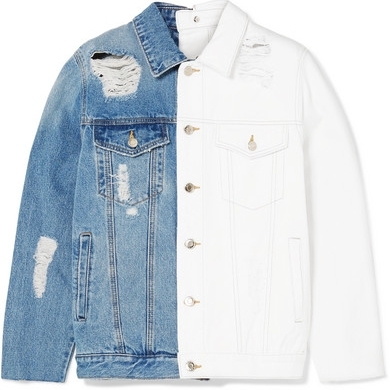 I love the contrast of the blue and white denim - white denim being actually very hard to get second hand or in a vintage form. 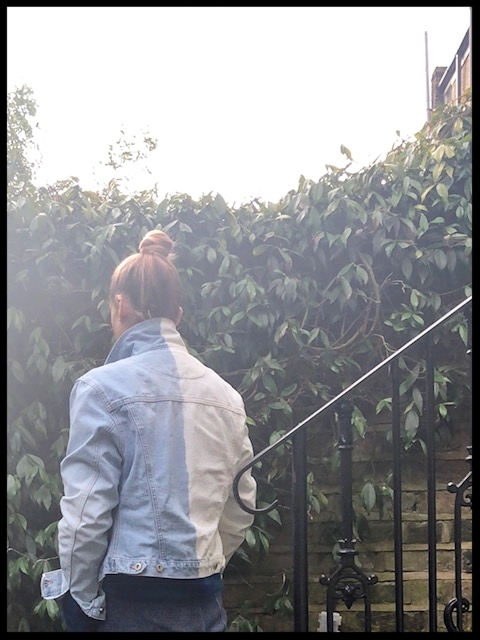 So a little light bulb 💡went off in my head - why not try bleaching... Design Project to follow shortly but for now I couldn't help showing it off!